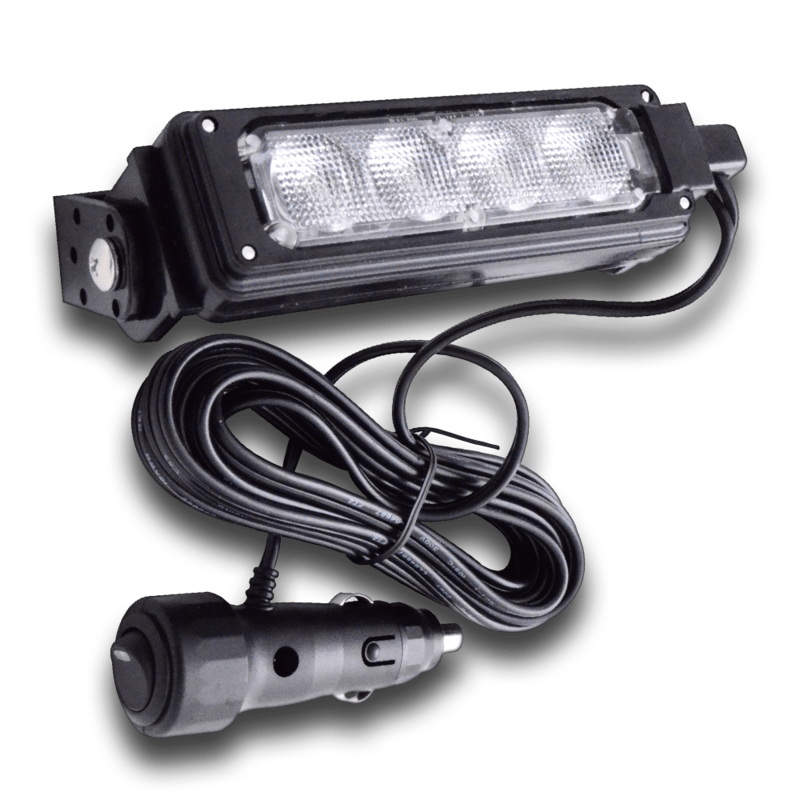 Individual lights are also available. 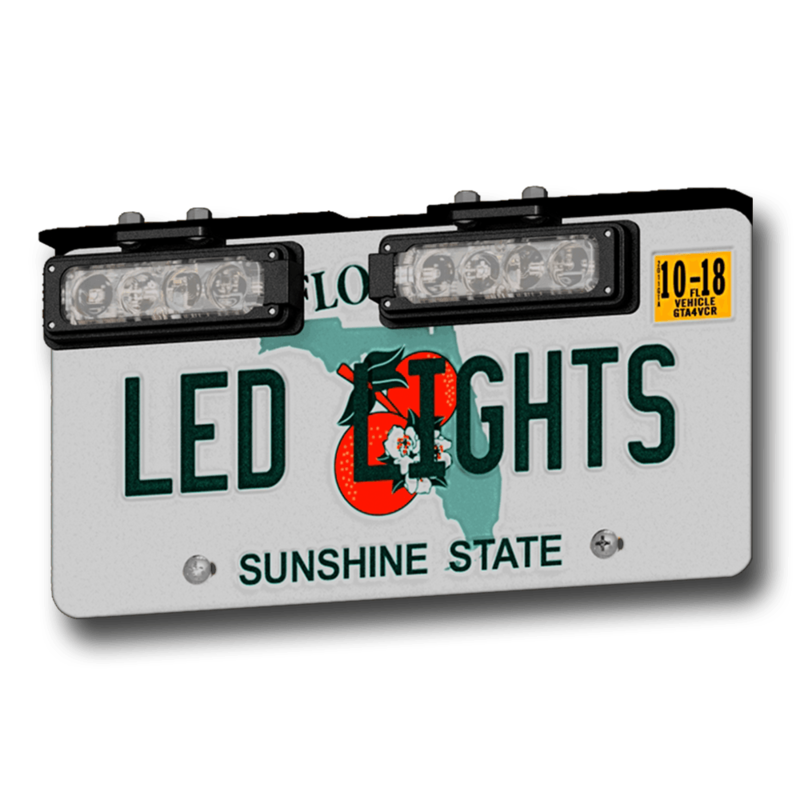 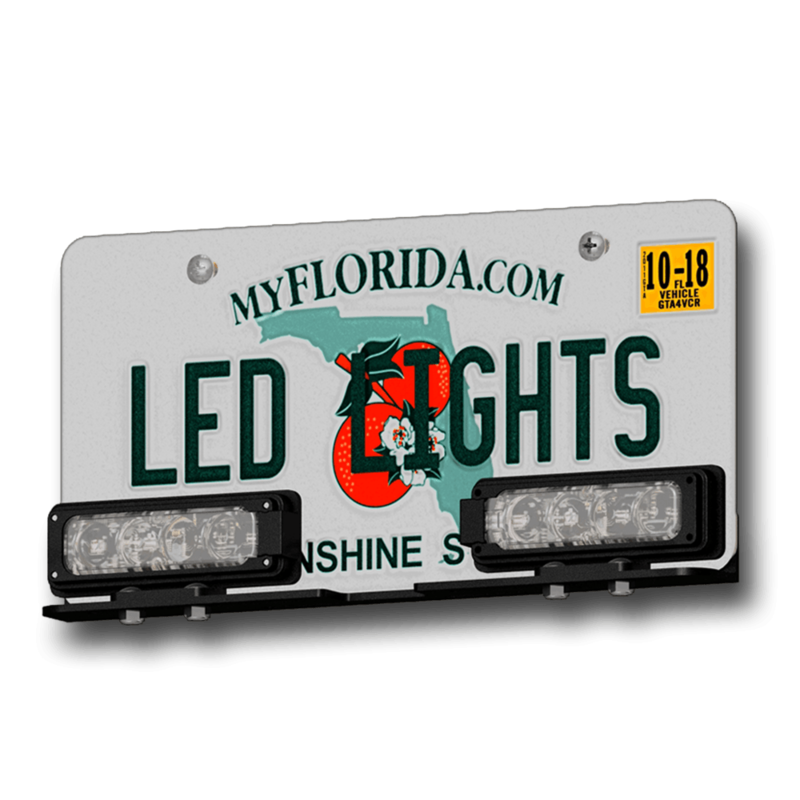 The BeastBeam™ Model# 2410 License Plate Warning Light Kit is a powerful warning light kit which easily attaches warning lights to either the top or the bottom of your license plate. 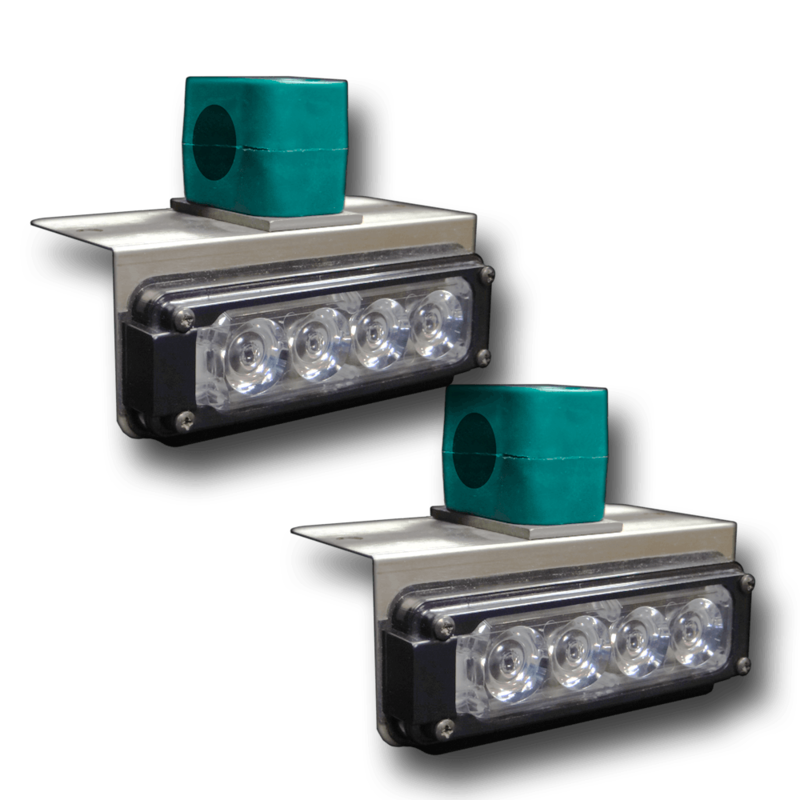 The design includes two powerful BeastBeam™ Model #2400 Flashing Warning Lights each, with a circuit having a multiplicity of flash patterns and capable of alternating or synchronizing the flashing. 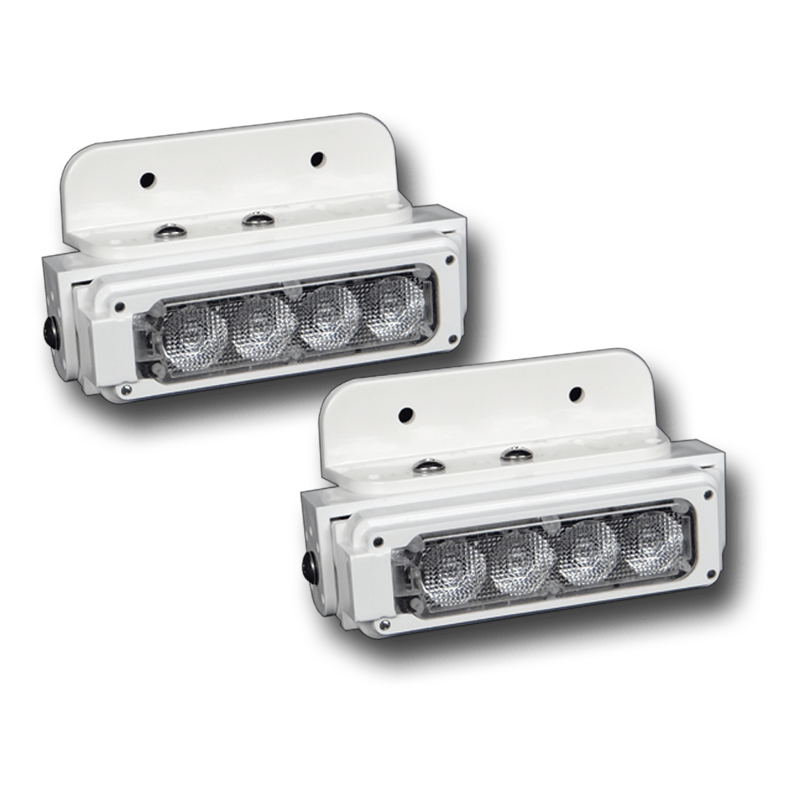 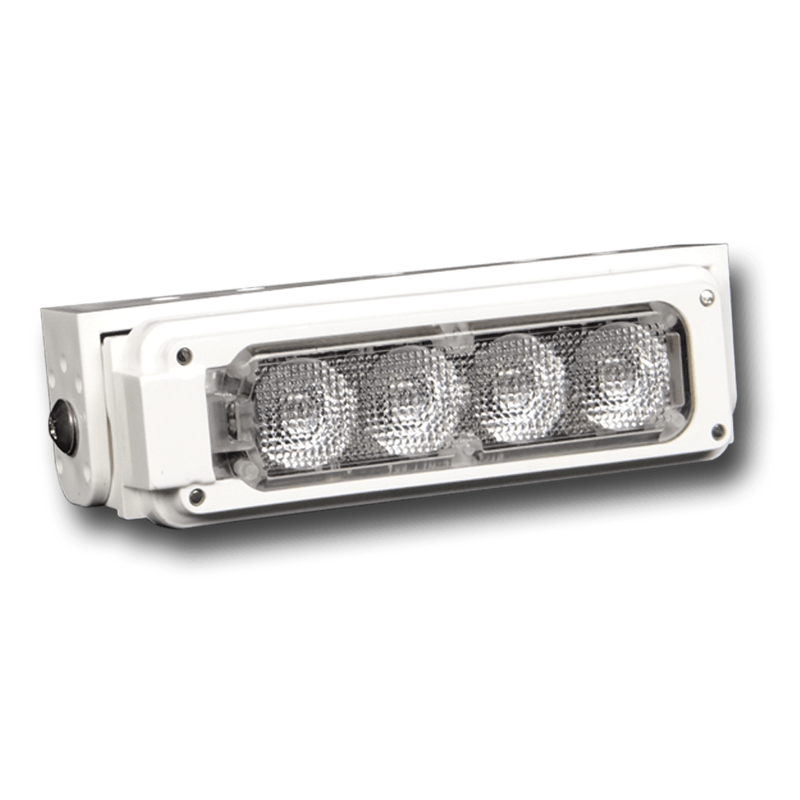 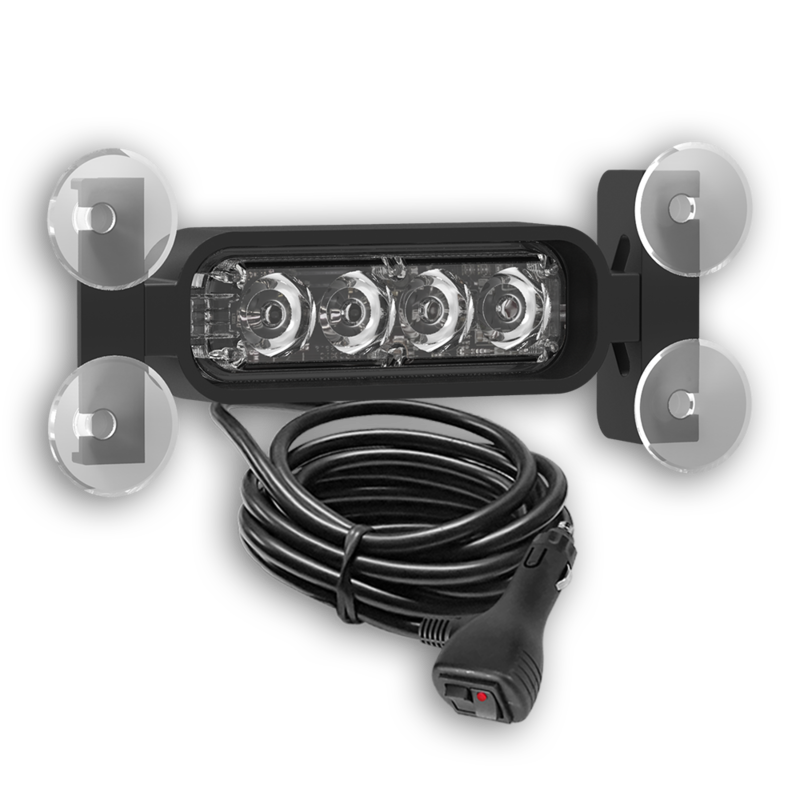 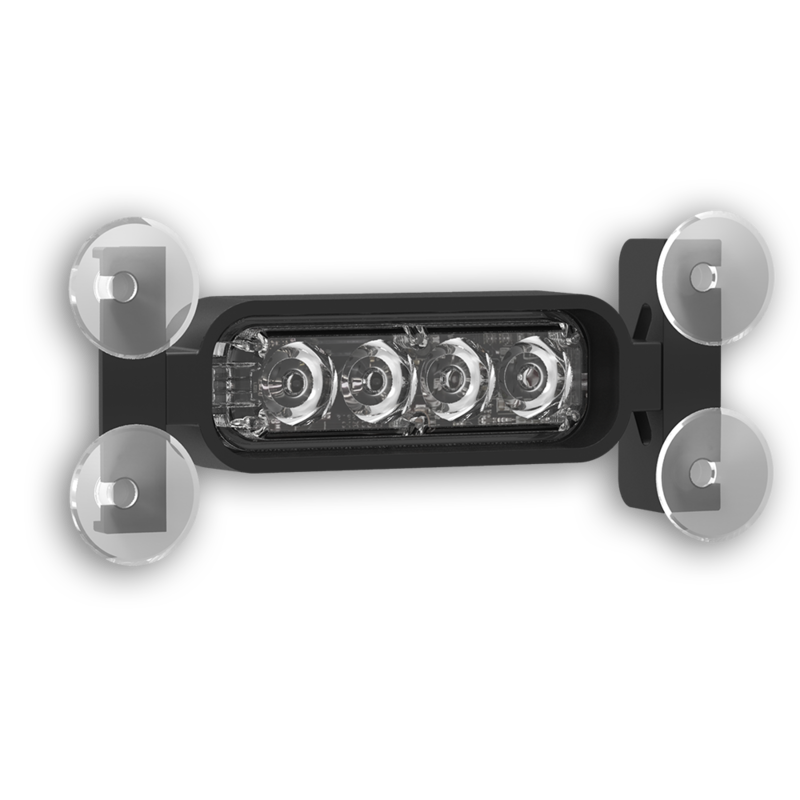 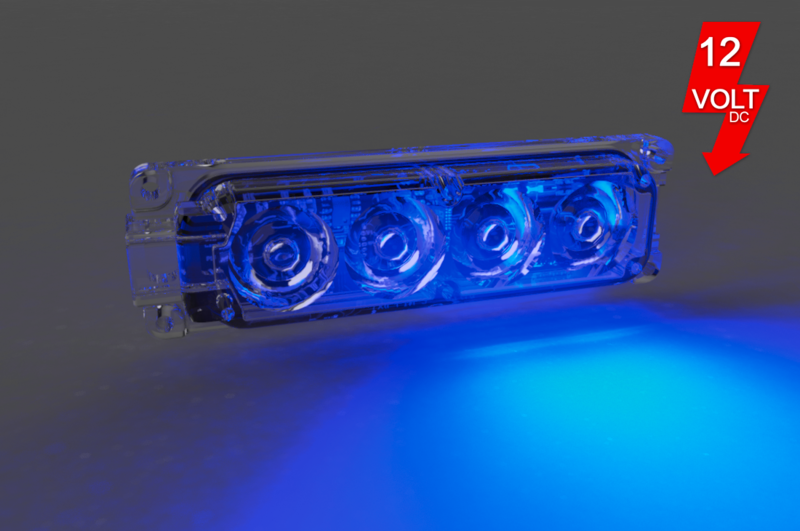 Each light includes a Spot Optic for all 4 LEDs for concentrated high intensity or a Combination Optic which provides a high-intensity Spot Optic for 2 LEDs and a Wide-Angle Optic visible from many directions for the remaining 2 LEDs. 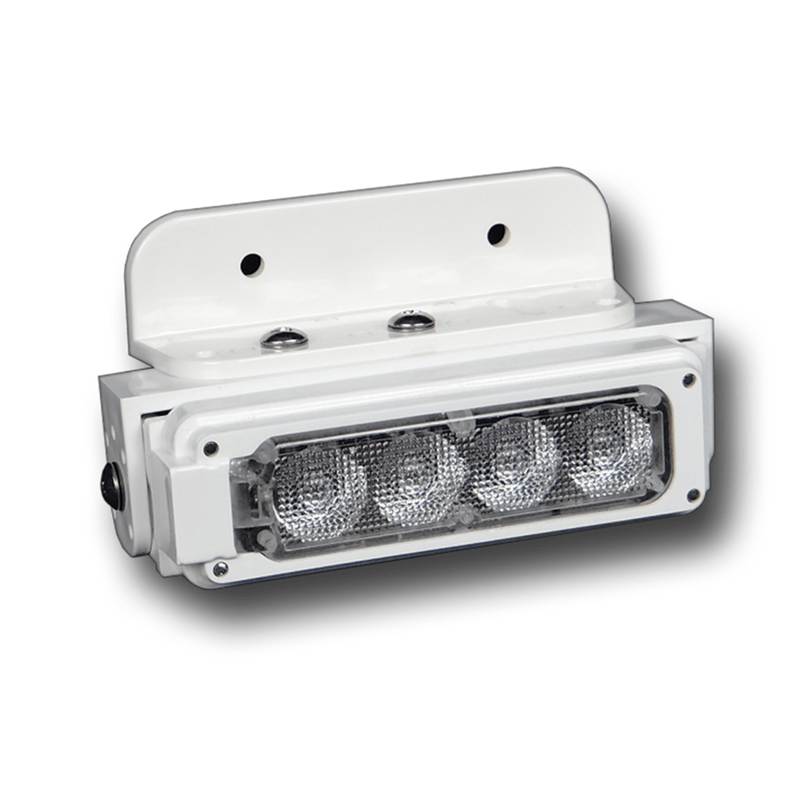 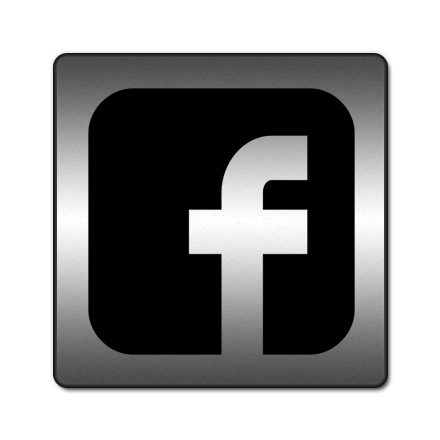 Individual lights are available emitting either a single color or dual colors of your choice.